The cello part for the Overture from Weber's Invitation to the Dance has been edited by Stephen Geber, who served as the principal cellist of the Cleveland Orchestra for 30 years, from 1973 until 2003. Geber's bowings, fingerings and other editorial markings have been added throughout the score. In its original form, Weber's Invitation to the Dance is a piano rondo. Berlioz orchestrated a well-known rendition of it. Weber dedicated Invitation to the Dance to his wife Caroline. It begins with a slow introduction (Moderato) leading to a fast section (Allegro vivace), then a lilting waltz theme. The energy builds toward a rousing climax – which is actually a false ending – before concluding with a quiet coda. 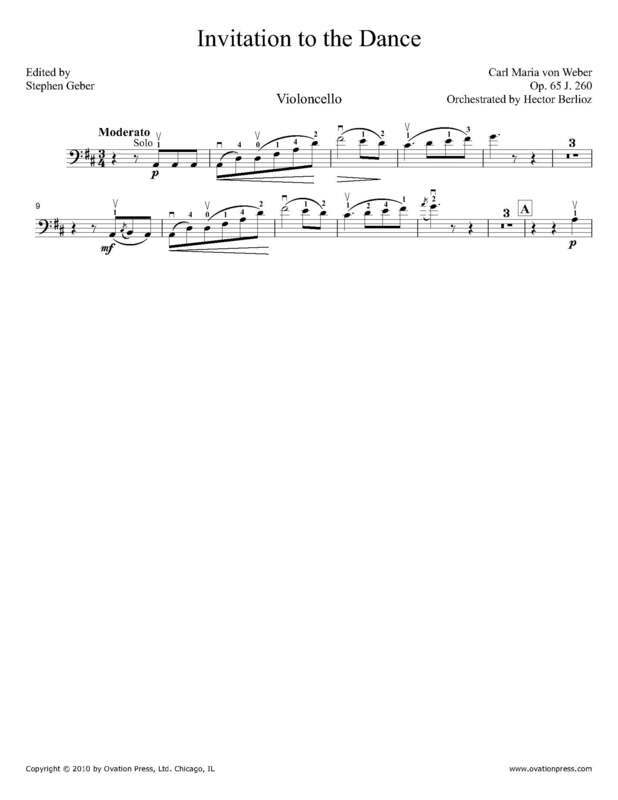 Download and print the score today to gain access to expertly edited Weber Invitation to the Dance Overture cello fingerings and bowings from Stephen Geber!